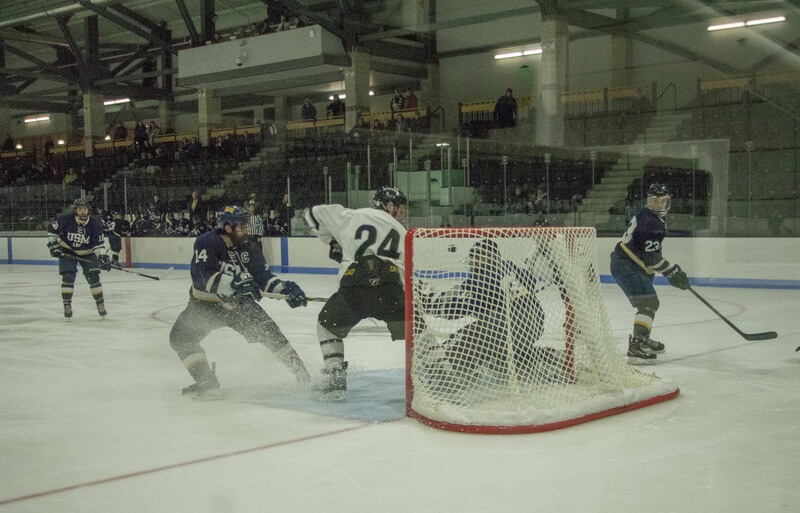 PROTECT THE NET: Caleb Perez ’20 defends against the University of Southern Maine last season. The Polar Bears start their season this weekend at home. Pregame Workout: Number 45 Liam Dougherty '21 and number 12 Mathew Marcantano '21 run drills before a game in the 2017 season. 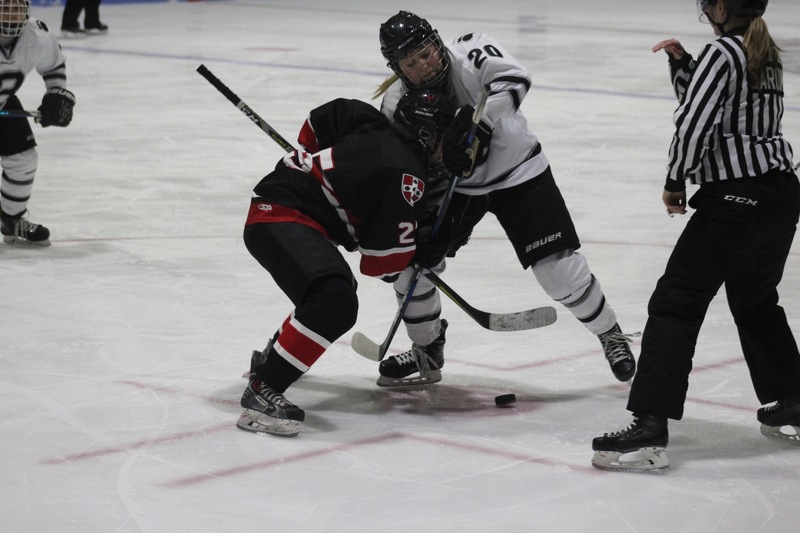 LOOKIN' PRETTY ICE: Katie Leininger ’20 faces off for the puck against an opponent from Wesleyan on January 27. The hockey team is looking towards its last regular season series agaisnt Trinity College at home this weekend. 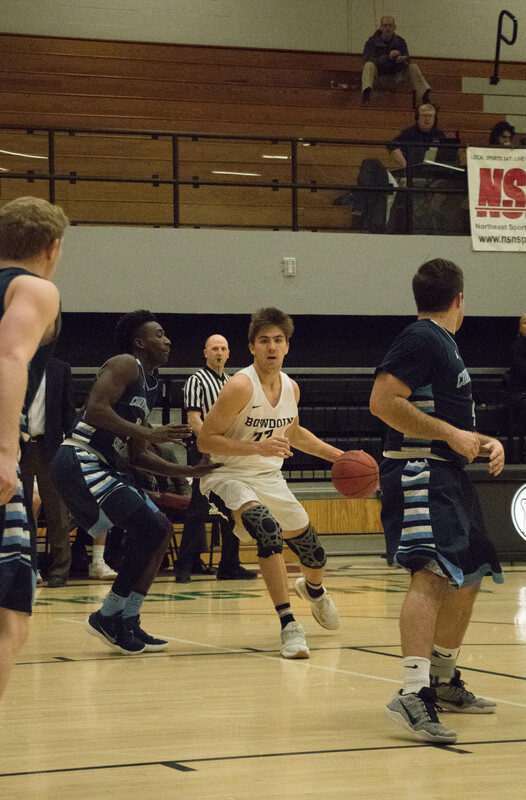 DUNKIN' IT: David Reynolds ’20 dribbles past an opponent from Connecticut College during Saturday’s game. 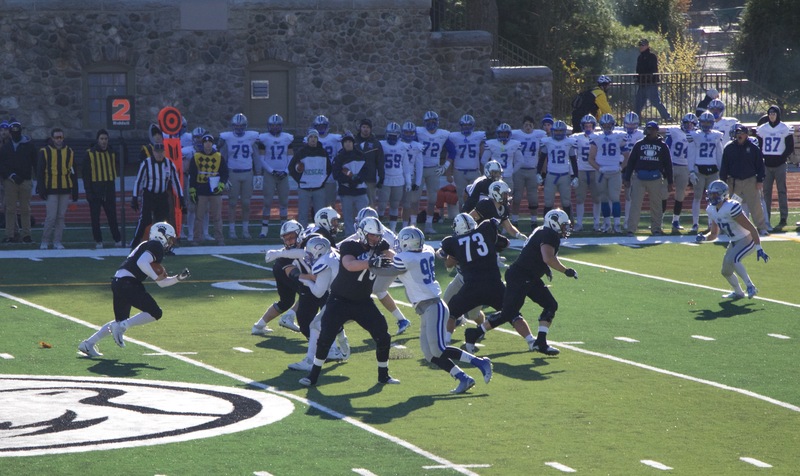 After not qualifying for the NESCAC Championship last year, the Polar Bears will return to face Amherst this weekend. 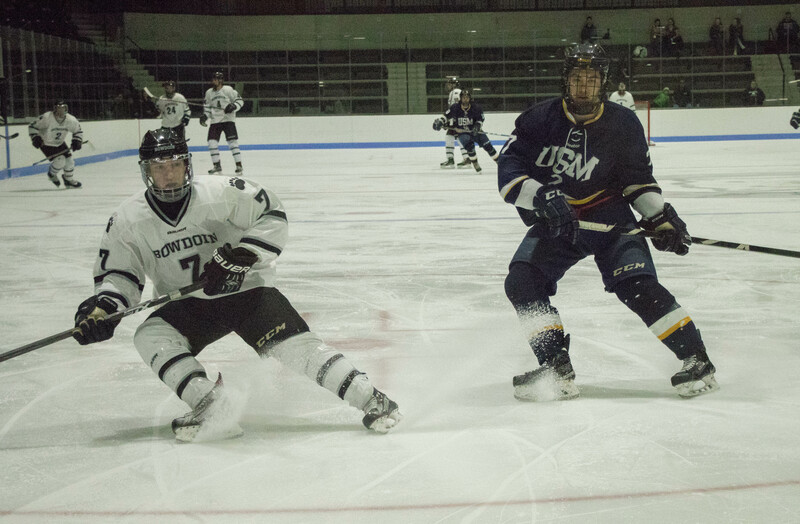 King of the ice: Cody Todesco ’19 faces off against a player from University of Southern Maine in Tuesday’s game. 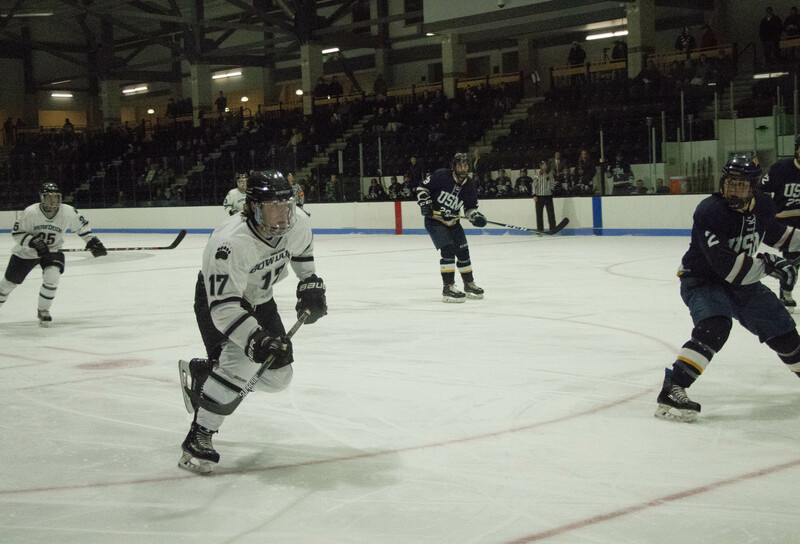 The Polar Bears reigned victorious, continuing a three-game win streak after beating Williams and Middlebury over the weekend. The team is hoping to continue its streak this weekend. 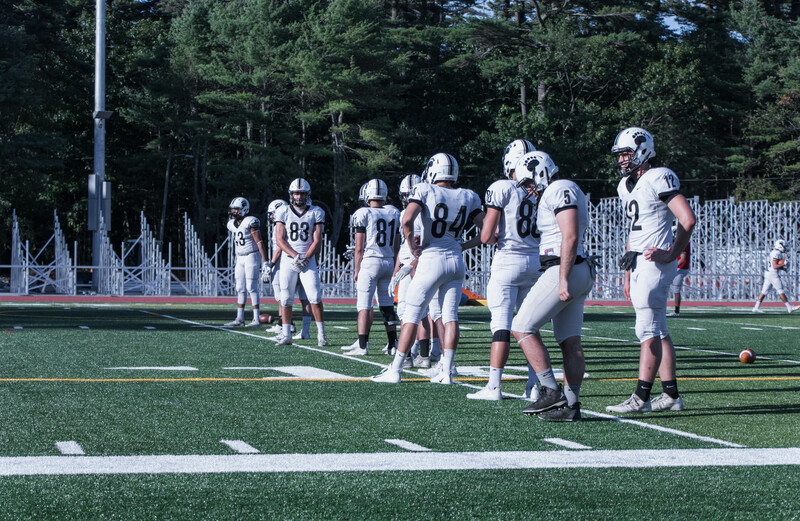 Never stop grinding In the off season, the football coaches give players individual weight goals that they are expected to work towards, whether that be to gain weight or maintain their weight. Players work hard in order to meet these goals by working out and eating more so that they are ready for season. 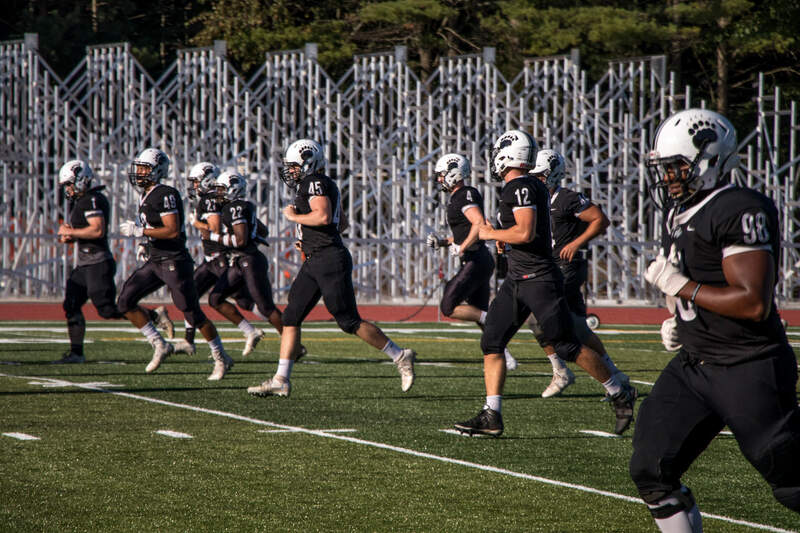 Prettier Whittier The Polar Bears look to improve on last season’s 0-8 record as phase one of the Whittier Field remodel nears completion and a ninth game is added to the beginning of the season.